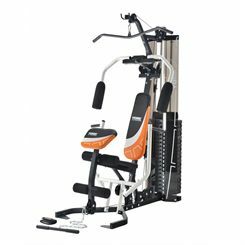 The York Perform is a superb mid range multi gym that not only looks great, but also provides maximum safety, stability and functionality. 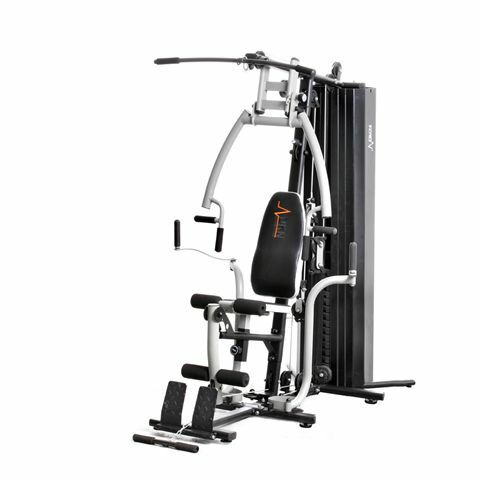 The 100kg weight stack provides 100kg maximum resistance on all of workout stations, while the sealed bearings ensure a smooth workout with no pulling or sticking. 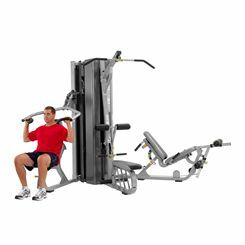 The York Perform is a highly versatile machine that provides a great range of stations, including chest press, peck deck, leg extension, arm curl, low rowing position and lat pull. Inspire Fitness BL1 Body Lift multi gym boasts a smart and straightforward design that utilises user weight instead of stacks and weight plates. It gives a broader range of resistance with 15 possible adjustment levels each corresponding to 10% of the user weight (e.g. level 1 = 10%, level 5 = 50%). 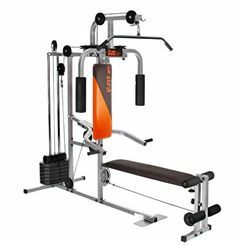 This robust workout station is designed to last thanks to a heavy duty 2 x 4" oval 11-gauge tubular steel frame and fibre glass reinforced nylon pulleys. 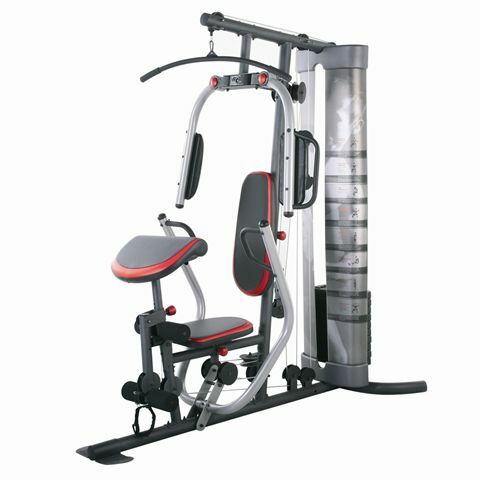 Also, it ensures a greater variety of exercises with extended range of motion and by including 4 standard positions of the press station and 4 reverse ones, there is also a motion cable system ensuring enhanced mobility and coordination. 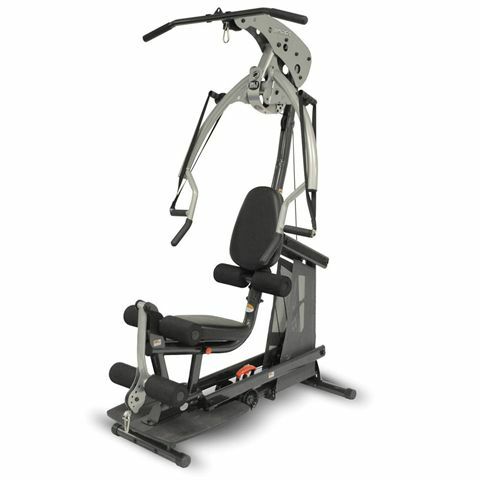 Moreover, the multi-gym is excellent for full-body workouts and training essential muscle groups including, core, shoulders, chest, traps, back muscles and legs. 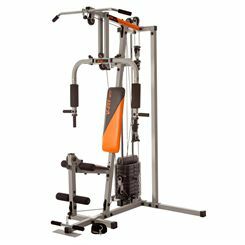 Additionally, to ensure even more muscle-building possibilities and excellent endurance practice, the multi gym comes with a selection of accessories: 48" steel lat bar, 18" revolving curl bar and full colour exercise wall chart. Multi Gyms are a great option for anyone wanting to engage in a strength training program, they offer an excellent range of exercises, they fit into a very compact area and they also offer quick and easy adjustment of weight, most multi gyms come with a weight stack where you simply move a selector pin to adjust the weight rather than having to change weight plates as you would on a barbell or smith machine. 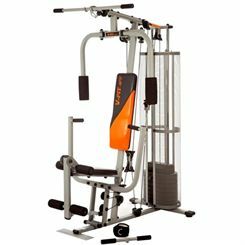 Entry level prices in multi gyms generally have quite a small weight stack, a slim frame, and the thickness of the upholstery can be quite modest, as you move up in price the size of the weight stack generally increases and the size of the frame will also become more substantial giving a much more solid feel to the machine, comfort is also upgraded through better quality and thickness of upholstery. The degree to which you can customise the frame also changes, many entry level models will not allow you to adjust the seat height, but, as you look at better models, most will allow you to alter the seat to one of several positions, some models also allow you to change the angle of the backrest, this is important to ensure you are well supported as you work out and becomes even more important as you improve and start to handle heavier weights. 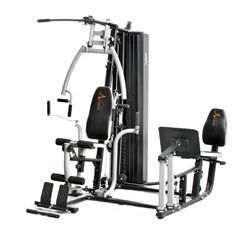 The quality of the movement also varies quite dramatically according to how much you are prepared to invest in your machine, entry level models do not tend to be as smooth and you can generally feel some friction as the weights travel, mid-price models will feel better and smoother, and at the higher end of the price range the quality of engineering and features such as solid guide rods for the weight stack make movements feel considerably different to a lower priced model, it will be much smoother and retain a friction free feel even when you move the weights quite slowly. 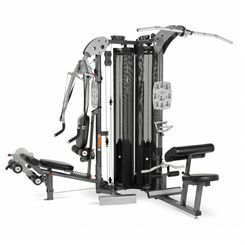 Frames on higher priced multi gyms sometimes have extra features built into them allowing a wider range of more specialised exercises, it’s worth fully investigating these options before you buy. 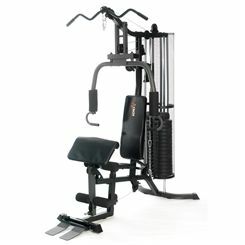 Something else we recommend you consider is which features are important to you because different models will offer different benefits at certain price points, for example, one model may offer a large weight stack but very little option to customise the seat or may offer a more limited range of exercises, another model in the same price area may compromise slightly on the size of the weight stack but offer better options in number of exercises or comfort, it all depends what is important to you. Sweatband.com has an excellent range of multi gyms covering all these various features and can offer you leading brands such as Weider, York, DKN, V-fit, Adidas, Kettler, Marcy and Inspire, all are competitively priced and with free of charge UK delivery (mainland only).